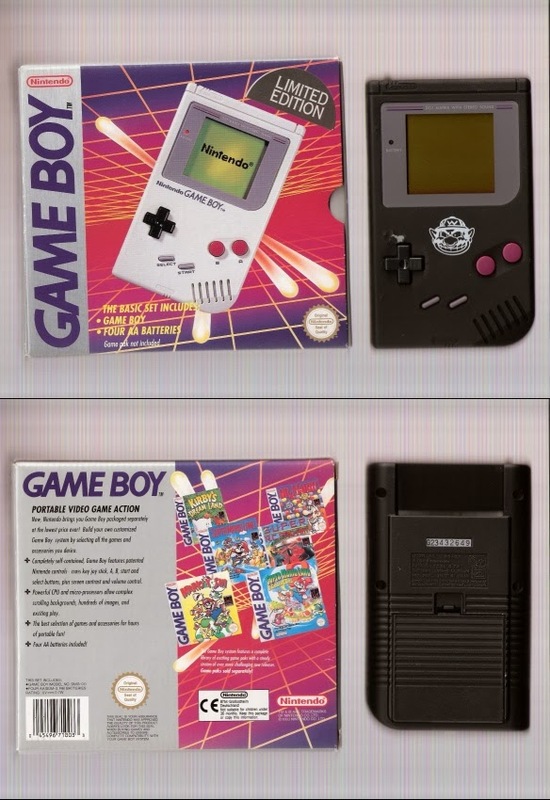 A few months ago, I wrote about 7 super rare Game Boys even I didn't know about. Recently an auction went up on eBay then was quickly deleted for the rare Kirby Game Boy. I managed to snag the photos though, so I thought I would share them and talk a little about the item. Oh wow, you gotta love that hot pink paint job and rapidly-moving Kirby. Look at the speed lines on that baby. Also note that there is no "NINTENDO GAME BOY" painted on the body. I assume this console just had the case painted over and then painted on with a Kirby stencil. The auction even came with the box. Notice the Limited Edition sticker slapped on. That sticker is the same one on the Wario Game Boys. Now we are getting to the interesting stuff. The auction even included the paperwork! These little pieces of minutia are often missing and are hard to hold on to. They always increase the value of the item and are important for proving that the item in question is not a fake. Turns out that these Kirby Game Boys were a part of Prince Giant Mallows promotion sponsored by Jacob's Bakery, a British company. He even included the winning certificate! I love these little things. I think it is great that he kept everything. Sadly the auction went down very quickly and I'm not sure what happened to the Game Boy. If I had to put a price on it, including all the paperwork and the box, I think such a rare item would fetch for over $300.